Mike Holdner is looking forward to the simple things this year: the prospect of planting a garden in his backyard, barbecues with his neighbors and hearing trick-or-treaters knock on the door of his Mark West Estates home. 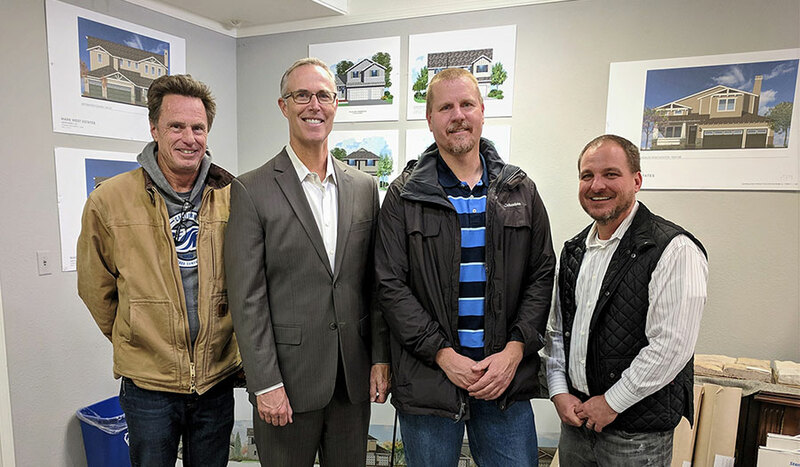 Stonefield Development has secured permits from the county of Sonoma for its 15-home group rebuild at Larkfield Estates. The homes being rebuilt were all destroyed in last year's wildfires. Like nearly every other person who owns property on Wikiup Bridge Way, Janet Leisen’s rebuilding costs extend far beyond her home that was destroyed by the Tubbs fire nearly one year ago. Larkfield-Wikiup may get a couple of new neighborhood parks and possibly its own recreational organization to manage them if the efforts of some October fire survivors and others prove successful. A second mass rebuild project is taking shape in Larkfield as recovery picks up steam in the unincorporated community north of Santa Rosa where hundreds of homes were destroyed in the wildfires seven months ago. It’s been nearly four months since the October wildfires, but how many months will it take before the housing rebuilding effort gathers steam and direction? What is clear already, say experts, is that rebuilding the homes will be a huge task because of the scale. Coffey Park — one of the most publicized communities that suffered major losses in the recent wildfires — is moving closer toward a viable plan to rebuild. Though there may be confusion among residents who lost homes during the recent fires about how to rebuild, architects and builders are confident that Coffey Park can be rebuilt in record time, provided residents take an active part in the process. Thousands of homes lost to last month's devastating wildfires in Northern California could be rebuilt faster and more efficiently using production-scale techniques, according to industry experts. In Scripps Ranch, the rebuilding process after the 2003 Cedar fire has turned a neighborhood of medium to large tract homes into a collection of mini-mansions. More than 96 percent of Scripps Ranch fire victims are building bigger houses, and 69 percent are getting houses at least 500 square feet larger than before, according to a San Diego Union-Tribune analysis of city records. Only companies that maintain the highest standards in their construction practices and achieve the highest level of customer satisfaction are honored with this award. Stonefield is one of only two builders in California that have received Diamond Builder Award. ​After Stonefield completed construction, 27 designers from the Orange County chapter of American Society of Interior Designers transformed the rooms, and the estate was opened for tours before it sold. Proceeds from the tours benefited youth music education and enrichment. ​BUILDING INDUSTRY HONORS BOB PACK WITH "BIG AWARD"
​BIA San Diego honored Bob Pack with its BIG (Building Industry's Greatest) award for professional achievement in community affairs after fire rebuilding efforts. ​BIA San Diego honored Stonefield with its Builders Helping Neighbors community service award.